More than a quarter of Americans age 50 and older do not move beyond basic everyday activities, according to a new report from the Centers for Disease Control and Prevention. Despite the many benefits of moderate physical activity, including decreased risk of heart disease, diabetes, dementia, cancer, and early death, about 31 million U.S. adults are inactive. For the study, researchers analyzed data from a 2014 government survey with participants from all 50 states and the District of Columbia. The results showed that physical inactivity was higher for women, with almost 30 percent getting no regular exercise, compared with about 25 percent of men. Age also played a role, with inactivity significantly increasing in older years. For example, 25 percent of adults ages 50 to 64 did not exercise regularly, rising to 27 percent of those ages 65 to 74, and 35 percent for people 75 years and older. Geographically, inactivity levels were highest in the South, followed by the Midwest and then the Northeast. Inactivity was lowest in the West. Ranked by state​, Arkansas had the highest rate of inactivity, with 38.8 percent of residents getting no exercise. Colorado was lowest, at 17.9 percent. There were racial differences seen in the report, too. Hispanics and African-Americans were more likely to be physically inactive than whites. The researchers note that adults age 50 and older account for $860 billion in health care costs each year (excluding those in long-term care facilities), yet four out of five of the most costly chronic conditions for this age group can be prevented or managed with regular exercise. Being physically active can also help older adults maintain the ability to live on their own and reduces the risk of falling​ and fracturing bones. The CDC recommends adults up to the age of 65 participate in two and a half hours a week of moderate-intensity aerobic activity, such as brisk walking, as well as muscle-strengthening exercises at least two days a week. 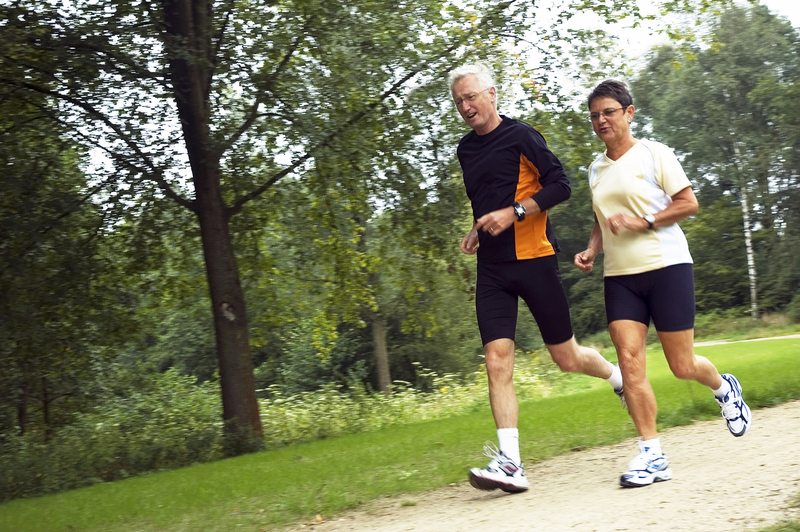 Adults 65 and older should get the same amount of activity as long as they are generally fit and have no limiting health conditions; otherwise, they should consult their physicians.